Wadup, it’s ya boi, SparkynadoMeisterBro, here with his second deck! I use this deck for ladder currently, and have recently incorporated it into the Double Elixir Clan War battles to great success (haven’t lost one yet)! P.E.K.K.A – Your tank mauler, Primary push killer, and Primary win-con. You might want to focus on leveling him up, as he can die easy, and you need all the HP you can get. I play with him about a level under everyone else’s epic cards, but that hasn’t stopped me yet, so when I see someone with my card levels, playing this deck is heavenly. Except against log bait. Screw log bait. 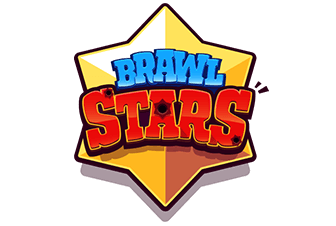 Skeleton Barrel – Your Secondary win-con, emergency air defense, and in some cases a support mauler. Don’t underestimate this card’s defensive potential. The splash damage allows you to Zap a Minion Horde afterward for an even trade, or to kill pesky Bats that are being tanked for while the dropped Skeletons go for the tanking troop. You will want to try to (ONLY safely) pair this with a tanky troop for maximum effect. When the Barrel drops, everything retargets to the next thing in sight, so the Skeletons can freely destroy a Wizard, or even a Tower, until the tanking unit dies. The best part is that some people just epicly miss the Zap as the Barrel drops. That decides a lot of games sometimes. Executioner – Your Secondary push killer and main support for P.E.K.K.A. He is just a great F2P card you can’t pass on. Survives Fireball on many levels, survives Lightning easy, and is just a great splasher. Tornado – Utility spell and a crucial support spell on the offense, but also great on the defense. The main reason I would use this for is inside an offensive P.E.K.K.A push. Why? Well, Wizards, Witches, etc. are pretty heavy hitters that are normally out of reach of every card in your deck (besides Zap, but that won’t work). Pulling them towards your P.E.K.K.A is a great alternative to Fireball since it is 1 less Elixir and actually ends up (almost) killing it every time. Plus, if Executioner is in the push as well, nothing survives because of all the synergies. NOTHING. 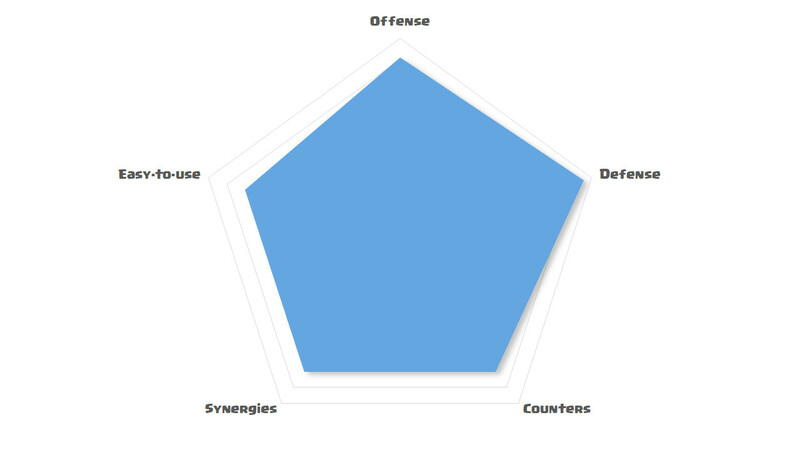 Guards – Pretty much a grounded Mega Minion. Crucial defense card and a decent threat card. A great Inferno Tower distractor, tank killer, support killer, swarm killer, heavy distractors, etc. etc. etc. They can do pretty much everything, and a spell will hardly do a thing against them, making them a great Hog Rider counter as well. They can even outrange a Valkyrie splash (if they don’t push each other into her), being a great Valkyrie distractor as well. There is so much more. 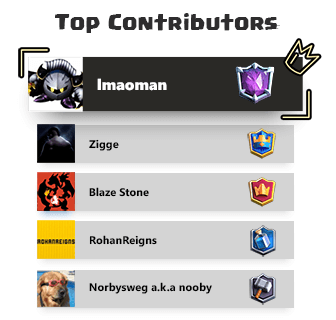 Electro Wizard – The counter to a nightmarish counter to PEKKAs everywhere – the Infernos. And he should only be used as such. Allow me to explain: His stun makes everything retarget. And in this deck, that can hurt you on the offense, as the Tower, who is targeting the P.E.K.K.A, will retarget to the Skeletons doing most of the damage, killing them, so use it only for Infernos, which would be the bane of the push. Otherwise, use him on defense. He is a great swarm killer at spawn, but he is also great at slowing down a single- or double-troop threat or win-con, easily helping to take down tanks in a pinch. Leave him to die afterwards or place a card you won’t need soon in the battle right in front of him to make him a more dangerous threat if you can afford doing so (whether by cost of Elixir or they have a lacking counter to them). Ice Spirit – I don’t care what you say, this card is still one of the best and useful cycle cards in the game. Despite the nerf, he can still do a ton of work. Pair him with Zap to annihilate Minions with ease, especially those cheesy ones they place to stop your pushes. I almost don’t use him as the starting play as he can really make the difference at the start of a battle. Zap – Self explanatory utility card. All I can say that strays from the normal usage of Zap is to not Zap the Tower if your Skeletons are down, for the same reasoning as Electro Wizard. I don’t recommend them as things can change a lot, but hey, why not. 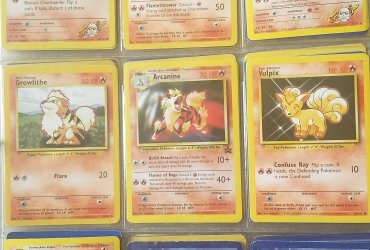 Alright, a LOT of people miss these facts, and these facts, in this deck, can cost them games if not followed. Pros know these as well, and is the reason they can get so far with them. It involves a axe thrower and a twirly boi. Yes, the Executioner and the Tornado. You don’t need Tornado AND Executioner in your deck for Executioner to work. When people say this, that is like saying Wizard, Witch, Baby Dragon, etc. needs to be used with Tornado in order to work. No! Just no! The Executioner can work without Tornado, just as Wizard and Witch and every other splash card can. If you do use both those cards in the same deck, you don’t need to use both together on defense all the time. That’s right. I am saying, if you can take out a push with Executioner with expert placement to take out a push WITHOUT USING TORNADO, do it. Spare the Tornado for when you really need it or to use the Elixir for something else, as you can be wasting 3 precious Elixir stopping a push you could have easily stopped for less. RNG can hit you hard against E-Barbarians at the bridge if you end up with Ice Spirit, Zap, Electro Wizard, and Skeleton Barrel in the starting hand. If you see the E-Barbarians, cycle Ice Spirit to literally any other card (P.E.K.K.A, Executioner, Nado, Guards) and use it ASAP, possibly along with another card. Best starting hand is P.E.K.K.A, Executioner, Tornado, Guards, and Ice Spirit, with any of these cards as the next card to come to your hand. Best starting play to make is to wait for them to play something first, unless you have a poor cycle, in which you need to cycle to a better card. You can even wait until Double Elixir if it gets to that situation, as this deck excels at Double Elixir, so it would be a valid decision. Placing Executioner in the back behind the king Tower is a great way to start a push. 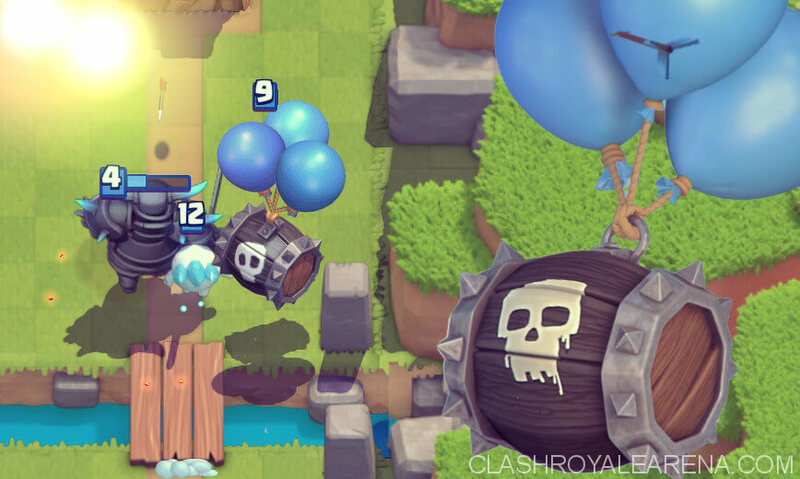 Skeleton Barrel would be your second bet, and P.E.K.K.A your third, but only start P.E.K.K.A if you know you can counter whatever else they have with 3-5 Elixir. Build small pushes with just 2 cards (i.e. P.E.K.K.A Executioner, P.E.K.K.A SkeleBarrel, Executioner SkeleBarrel) along with a Zap and/or Tornado to make sure you don’t get too big a negative trade. You can cycle Guards, Ice Spirit, and Electro Wizard, but do so in the back only, and split Guards. Just be aware of what you need for what. You can rush Guards at the bridge as a second valid option. Don’t cycle a spell on the Tower in any circumstance in single Elixir. You will probably need it elsewhere and it would just be a shame. Use Tornado to pull a Hog Rider, Goblin Barrel, etc. to the Tower ASAP, if you need to, then, save Tornado for offense unless necessary for defense. Maintain control no matter what. Your opponent should take a decent amount of time to deal with your pushes, so don’t clump troops. 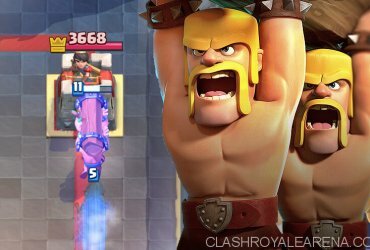 Keep Executioner at least 3 tiles behind the P.E.K.K.A, and Skeleton Barrel a decent ways in front of P.E.K.K.A, to minimize splash value. The only exception is with Guards/Electro Wizard VS Infernos. Following that, try not to leak Elixir. I find myself enjoying the view of my push not knowing I just leaked 4-5 useful drops of Elixir, ultimately costing me the ability to win with the time remaining. Work up a P.E.K.K.A + Executioner + Skeleton Barrel push (with Guards and/or Electro Wizard ONLY for infernos) and ready the Tornado and/or Zap for random things. If you cycle fast enough you can push the other lane by starting another Executioner in the back, and you can keep doing that until you outcycle them to bits. When using Tornado with your push, pull everything in FRONT of your P.E.K.K.A (between enemy Tower and P.E.K.K.A), that way any Valkyrie or big splash troop that may have been placed on your support will be pulled away from the support immediately and towards the P.E.K.K.A, keeping the push well and alive. It brings everything in for Executioner to splash. It also brings Inferno Dragons within range of the Electro Wizard, so yippie, more synergies! You can spell cycle Zap on the Tower, but be very aware of how much you may need it for other situations and do so wisely. Log Bait – Hard matchup. Outcycling them is very hard, but possible, and stopping their Inferno Tower is a pain to do with all their swarms. I like to predict a Skeleton Barrel at the river for their Inferno Tower and have P.E.K.K.A tank everything afterwards, with the Skeletons effectively destroying the Inferno Tower, if they left the Skeleton Barrel alone, which they most likely didn’t by using a Log. So, try to bait out the Log with threat Guards on the other lane. You can’t effectively kill a defensive Princess with a spell for a good trade unless the opponent plays it bad to where you can pull her to your Executioner with Tornado. You can stop a Princess at the bridge with Guards extremely well, though, and if they counter Guards with Goblin Gang afterwards, the Gang will be in too poor a poor state to be useful for attacking the Tower, so you have that Elixir advantage. I would advise against using Zap, P.E.K.K.A, Executioner, or Tornado on the offensive Princess. You need to build a push with something. Zap/emergency E-Wiz the Goblin Barrels, or Tornado them to the king Tower to later minimize damage from the Barrel. From then you can only hope the chip damage isn’t enough. Against a pro Log Bait player, you probably won’t stand much of a chance unless your predictions are on-point. Double lane Bridge Spam – Decent to Hard matchup. If you adapt to using this deck, it ends up being a Decent matup, but using this for the first time makes this one hard. I’m talking like Bandit Dark Prince Royal Ghost combos here, they are so cheap to use. Use P.E.K.K.A on the side with more troops, and Guards for the others. Tornado is crucial in this deck. When you go on the offensive, none of their defenses should live, lest you suffer a terrible counterpush, so make sure they die by pulling all their counterpushers to P.E.K.K.A! Lava Hound – Decent matchup. All your air counters are lacking DPS, so Balloon is a pain to deal with. Rely on E-Wiz for slowing down the Balloon, and have Executioner PROPERLY aligned to clean both up without Tornado, as E-Wiz + Executioner + Tornado = 12 Elixir, and Lavaloon = 12 Elixir, and you rely on keeping an Elixir lead against them to win, not neutral trades. If they have Baby Dragon and/or Mega Minion in the Lavaloon push as well, feel free to use Tornado if needed. Just make sure E-Wiz lives. For other Lava Hound decks not involving Balloon, you should be fine. Golem/Giant/Giant Skeleton/etc/ Beatdown – Easy to Decent Matchup. You have P.E.K.K.A for the tank and Executioner for swarm spam (including Night Witch), not to mention beefy Guards, Zap, an Electro Wizard, etc. Only reason you should possibly lose is 1+ bad plays or disgustingly high levels (*cough* Royal Giant *cough*), and if you can prevent a mistake from happening you will win or draw everytime. Normal Overleveled Bridge Spam – Easy matchup. E-Barbarians, Hog Riders, etc. Just don’t stand a chance with all the counters to their cards and the negative trades they will get. Just don’t let them catch you off guard/at low Elixir. Siege – Easy to Decent matchup. It is a Decent matchup if you are learning the deck, but once you do learn it, it becomes easy. P.E.K.K.A is the bane of these decks if played right, but Executioner is the champ here. For X-Bow, place P.E.K.K.A next to the crown Tower to tank the shots and save up Elixir for Executioner behind P.E.K.K.A and possibly Tornado to clump the troops up for maximum value, then go on a glorious counterpush. For Mortar, simply use Executioner (not next to it, mind you, just within throwing range) and maybe Tornado to take it down along with support, and try a P.E.K.K.A in front. If they use Tesla, place your Executioner accordingly to knock out the Tesla first. If you can clip the siege weapon as well, go and try it, but be aware that to do that it almost has to be next to the river in the open, ready for Archers and/or Mega Minion to whack him down. If they use Inferno Tower/Dragon, use E-Wiz, but make sure the siege weapon or support doesn’t retarget to the E-Wiz himself due to his stun or you are in a heap of trouble. If X-Bow locks to the Tower, place a tanky troop and Zap the darn thing to make it retarget to it. Skeleton Barrel is a decent counter to all these, as long as you have a tanky troop nearby to start tanking the shots. Level 11 Zap (almost enough cards for Level 12, crucial card to upgrade). I could even go as far as to say this is an F2P deck as I am F2P (besides buying some Arena Value Packs, but come on, they were too good to pass up), but I will get some complaints about that.